format 19,7 / 19,7 cm vers 1950. 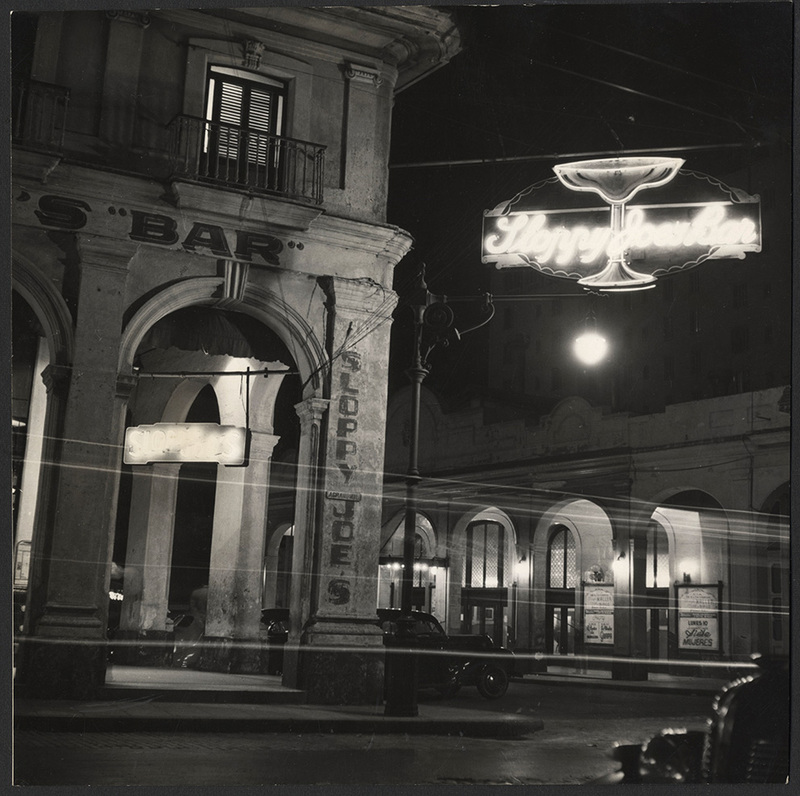 Sloppy Joe's Bar is a historic bar located in Havana, Cuba. The bar reopened in 2013 after being closed for 48 years. 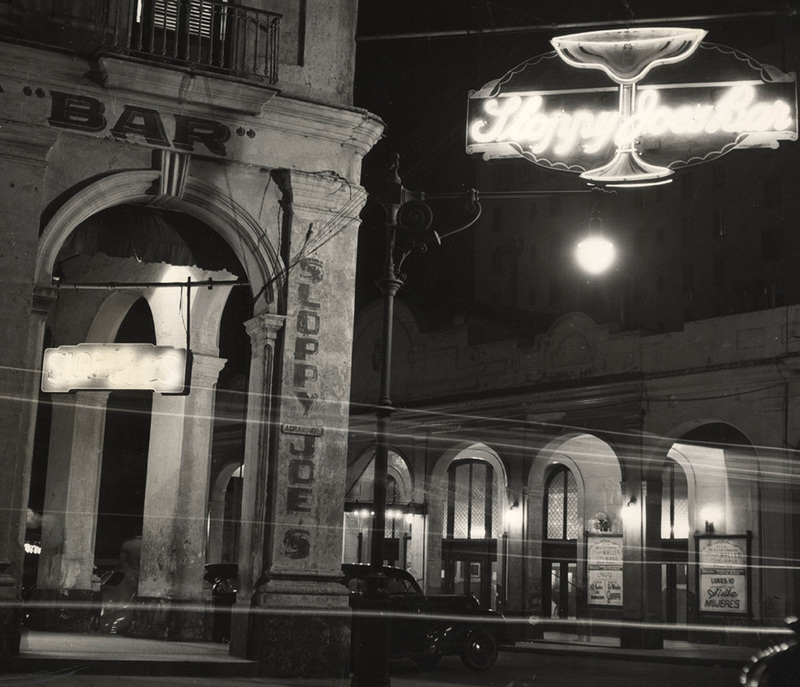 The advent of Prohibition in the United States spurred its original owner, Jose Garcia Abeal, to change the emphasis from food service to liquor service when American tourists would visit Havana for the nightlife, the gambling and the alcohol they could not obtain back home. Sloppy Joe's welcomed tourists for over four decades, and offered over 80 cocktails in addition to the bar's own brand of 12 year old rum. During the 1940s and 1950s it was a magnet for American celebrities as well as tourists wanting to mingle with them. It has been described by the Los Angeles Times as "one of the most famous bars in the world" with "almost the status of a shrine. The Cuban Revolution of 1959 saw the bar's business nosedive, as some 90% of Sloppy Joe's clientele was American. A fire in the 60s closed the establishment for good.The building in which the bar was housed remained intact, resembling a ghost town with its single-piece mahogany bar and photos of celebrities. The slow-paced, extensive restoration, undertaken by The Office of the Historian of Havana, began in 2007. It is located on the corner of Calle Animas and Zulueta in Havana Vieja (Old Havana). The building is located behind (on the same block as) the Plaza Hotel. The bar, in its heyday, can be seen in the movie Our Man in Havana starring Alec Guinness as it is the bar in which the character (Jim Wormold) is attempted to be recruited into the secret service. 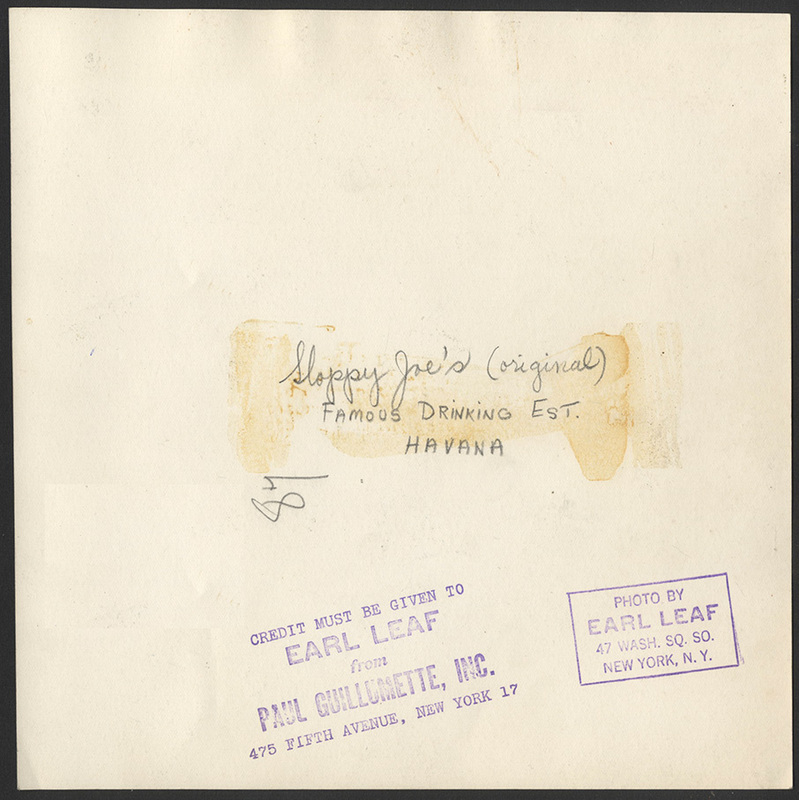 It supposedly inspired the deli sandwich sold in Northern New Jersey for over half a century by the same name Sloppy joe (New Jersey). Renovation work on Sloppy Joe's was completed in early 2013, and its doors opened to the public on April 12th of that year. The facade closely resembles the images from the 1950s, even down to the sign on the corner, above the arches.